For Startup users, our solution is to create a hidden collection for each discount rate. 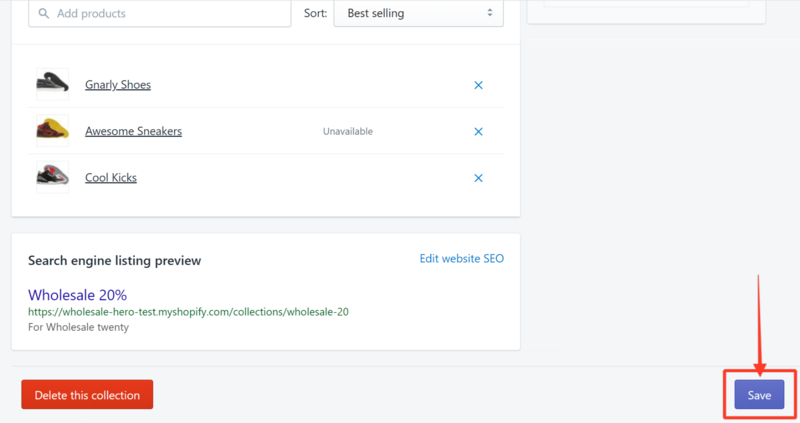 These hidden collections are only visible in your Shopify admin and are hidden from customers. All products that require a 25% discount for Wholesale customers goes into a hidden collection named "Wholesale 25%". All products that require a 20% discount goes into a hidden collection named "Wholesale 20%"
We are going to offer a 20% discount on some specific products for Wholesale customers. We will also offer a 25% discount on some other products for Wholesale customers. Step1. 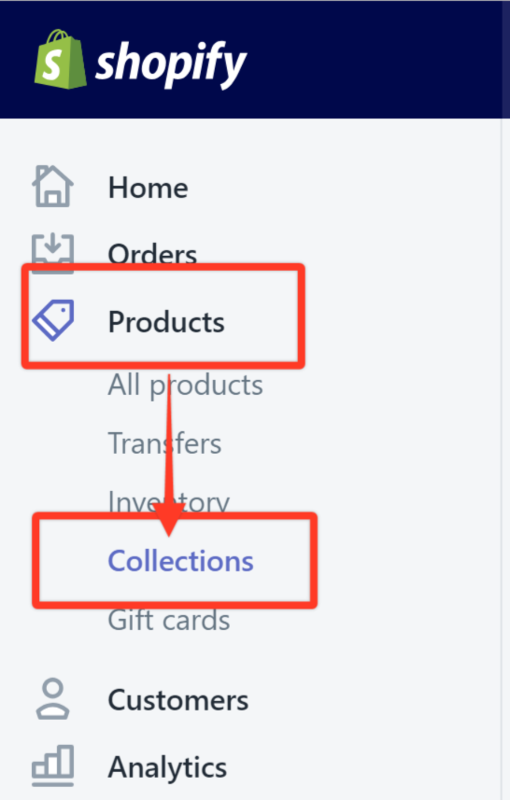 In your Shopify admin, go to Products and then click Collections. Step3. Enter a title or name of the collection in the field provided. Since we are creating this for a 20% wholesale discount, we are going to call it Wholesale 20%. Step4. 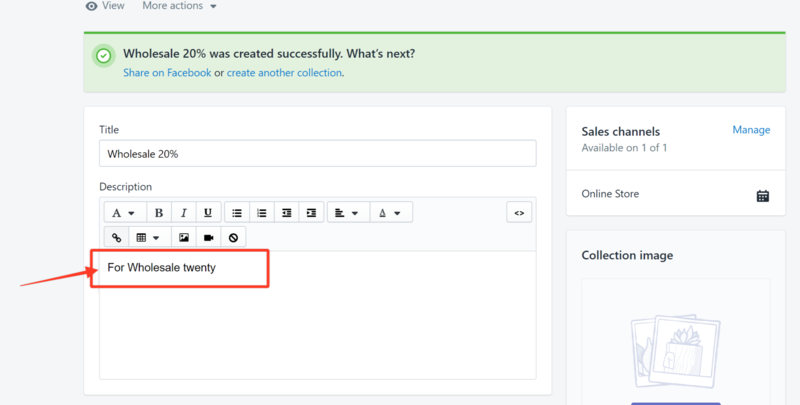 Scroll down and click the Manual radio button under Collection type then click Save Collection. Note: Choosing this option allows you to manually choose the products that you would like to tag for this specific collection. Step5. After the page has refreshed, enter a short description for the collection. In this example, we are going to enter For Wholesale twenty. Step6. 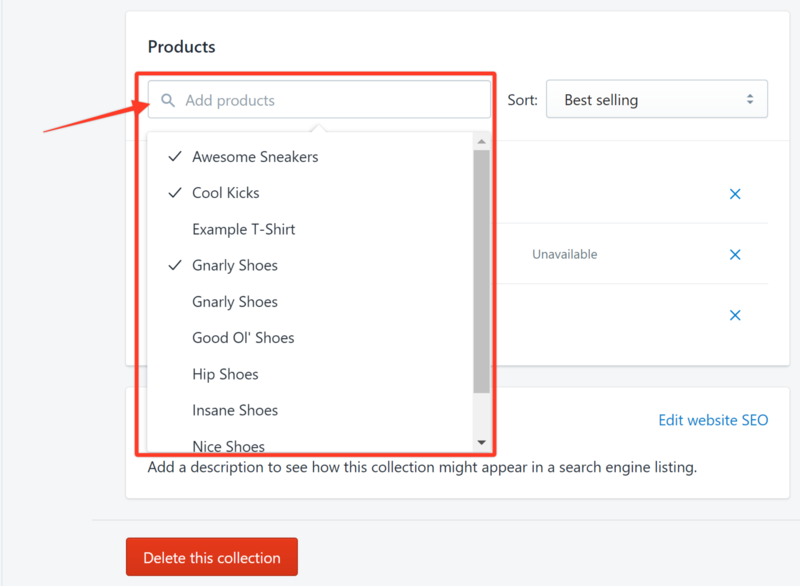 Click on the Products field to populate the list and choose the products that you want to put into the collection. In this example, we are putting in the Awesome Sneakers, Cool Kicks, and the Gnarly Shoes. Step8. Repeat steps 2 to 8 to create the collection for Wholesale 25% this time. 2. 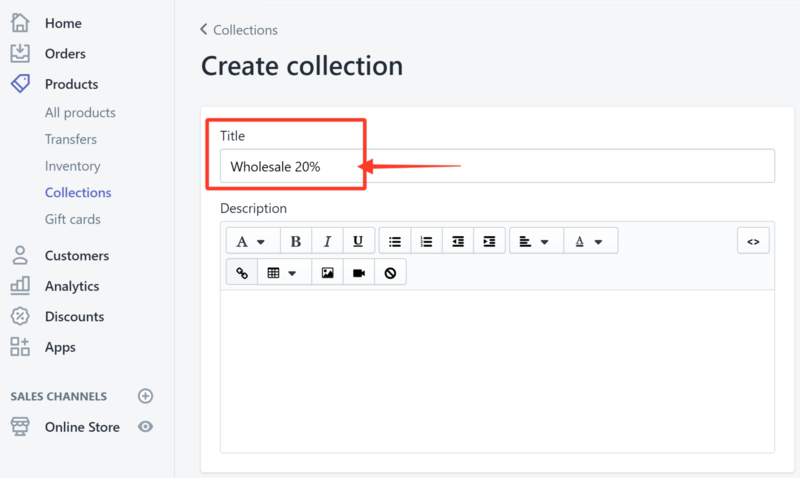 Create the Discount Group in Wholesale Hero by selecting the hidden collection. Step1. 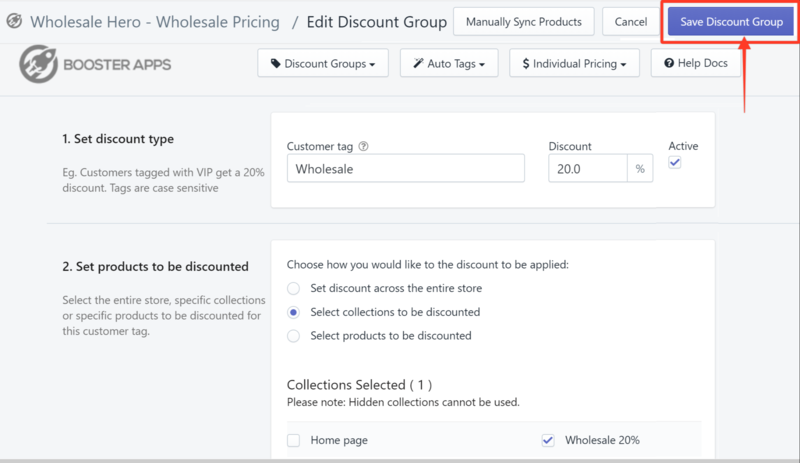 Launch the Wholesale Hero app and create a discount group named Wholesale 20. For detailed instructions on how to create a discount group, click here. Step2. In the Set Products to be discounted section, click Select collections to be discounted and choose Wholesale 20%. Step3. Click Save Discount Group.